Leicester Tigers are steeped in the history of Rugby. Winning three Premiership titles and back to back European titles in the early 2000s, the club is a giant of the game. After a convincing win over Northampton Saints, the academy team face rivals Wasps next. In today's episode, Ali returns to keep Scotty company in the studio while Mils is still away. 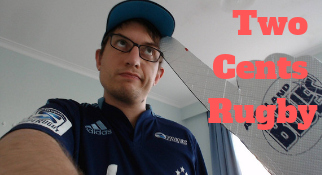 They discuss the Israel Folau controversy as well the Crusaders incredible form and Damien Mckenzie's World Cup ending injury. 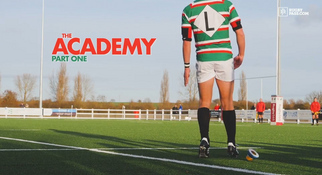 Our new docu-series goes behind the scenes with the Leicester Tigers Academy. We see the highs, the lows and what it takes to become a Leicester Tiger. Welcome to 'The Academy'. Jim and Goodey are back from Hong Kong with tales from on the pitch and off it...you won't want to miss them! We catch up with Ed Slater on Gloucester's season as well as they move to within touching distance of a play-off place and we speak to RPA Chairman Mark Lambert about the upcoming Restart Weekend and the important work the charity is doing. All that plus a couple of juicy rumours and the week rounded up in the Goode, the Bad and the Ugly. Goodey's back from Dubai and his bags are packed again as he and Jim head straight from the Pod to the airport for a week in Hong Kong! 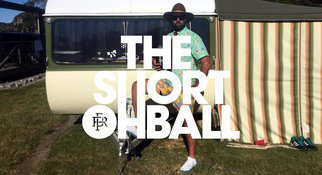 First, though, they dissect the European quarter-finals with an open cloth...and Darren Cave joins us to talk us through his heroic performance, Stockdale's slip-up and how much his value's gone up by! There's some love for the French, reaction to Mike Ford joining Tigers, big rumours and much more. We have all three lads in the studio in this episode, ready to talk the round just gone and the blues winning, Ali's fired up about making calendar updates while Mils sits in a pink jumper and Scotty hitting the boys with some hard questions about passing down their jerseys. Goodey's away in Dubai so we check in with him at the all you can eat buffet but the King of Bath Freddie Burns is with Big Jim in the studio in his place talking brutally honestly about a certain moment earlier in the season, his love life, Bath's season and much more. We also catch up with the Premiership's Player of the Month Rory Hutchinson, discuss Leicester and how many teams are in a relegation battle and look ahead to the Champions Cup quarter-finals. 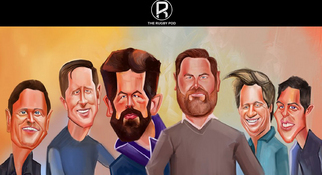 With Ali Williams away for this week's episode, Mils and Scotty discuss the new 50/22 rule and how it will affect the game as well as all the usual round talk. Rugby Lover's Guide to Asia visits the 2018 Hong Kong Football Club 10s, one of the biggest events on the Asian rugby calendar. Good things come to those who wait! Jim's walked the Calcutta Cup all the way back up to Edinburgh (or missed his flight earlier this week!) and is back to revel in Scotland's Calcutta Cup comeback. We speak to the Scottish hero Finn Russell and also catch up with Welsh Grand Slam winner Rob Evans to find out all about their celebrations and to get the answers to what everyone wants to know about the man of the moment Alun Wyn Jones.